Generally speaking, Christians believe the Bible is God's written Word to man. For centuries, people have been trying to gain esoteric knowledge by searching for patterns and codes for deeper meanings. Although the Bible can be understood by untrained people for salvation and instruction in righteousness, I'll allow that there are some tricky passages where we need the help of a skilled theologian. A section of the 20th anniversary Dr. Who episode from 1983, "The Five Doctors", comes to mind. The Time Lords are wondering what's happening in a certain area, and one says, "We must know what is happening in there". Extreme sidewinder The Master asks, "Did it occur to you to go and look?" I reckon that's the way some professing Christians act: they want the knowledge of the Bible, but are not bothering with what it actually says. Go and look, what a novel concept! Seems to me that a lot of cults and false teachings have this in common. This is frequently seen in the "I have a personal, direct revelation from God" crowd. People get caught up in the emotional manipulation and frenzy that they'll actually believe this stuff instead of pulling back on the reigns and saying "Whoa", opening their Bibles, and verifying if this new "knowledge" comes from God. People also put their minds on hold during these "religious" experiences. If you study on it a mite, it seems rather egotistical (as well as insulting to God's character) that something would remain hidden for millennia, but the owlhoot that's speaking is The One© that gets God's special revelation today. Along with hundreds of other false teachers with their own special (and often conflicting) alleged revelations. This guy is using the evolutionist principle of Making Stuff Up™ as well as mixing in some truths from Scripture. Also, note the commenter's wounded pride and attack on the other person. The so-called Book of Enoch was assembled by piecework over several years, was never written by Enoch himself, and because a certain church uses it doesn't mean the rest of Christianity has to accept it. This bit about debate about it's inclusion, preferring Revelation and so on really takes the rag off the bush! 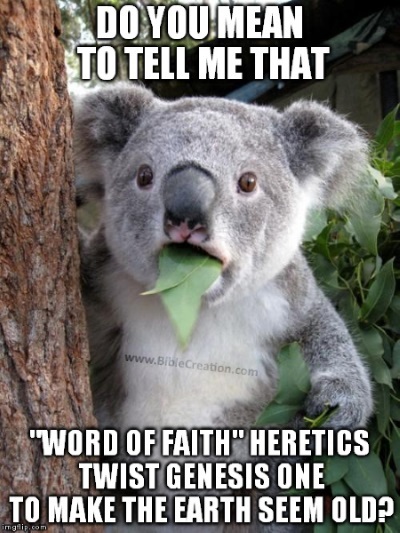 The Book of Enoch is a favorite of Gnostic heretics, and that gang likes their own esoteric knowledge — the Bible doesn't mean what it says, so they have to add their own ridiculous choices of "holy writings". Gail Riplinger, author of the spurious New Age Bible Versions, has amazing credentials that enable her to refute Dr. James White and discuss textual criticism and ancient biblical manuscripts. Her degrees are in interior design, home economics, and art. She can tell you how the New International Version and the sinking of the Titanic are related, and God gave her a direct revelation of "acrostic algebra". No, I didn't chaw down some peyote buttons, Riplinger is really that way, see "King James Version Only Controversy" beginning at the 10 minute 20 second mark. What would be appreciated here is if she had knowledge, integrity, actually dealt with Scripture, and didn't hear "God" speaking to her. These things remind me of the "backward masking" excitement. That was where people would play vinyl records backward and "hear" satanic messages in the lyrics. Even if such things did exist, the lyrics played in the proper direction would be enough reason to leave some musicians alone. Counting the words and letters, playing around with verse numbers, various methods to crack the code — all wastes of time. For one thing, chapters verses were added a few hundred years ago, and were not a part of the original manuscripts. (Indeed, in Luke 4:17, Jesus did not say, "Turn with me to Isaiah chapter 42, verse 1...") Further, they don't cotton to using the ancient texts from which the Bible is translated. So to seek divine significance from chapter and verse numbers that were added by men is rather silly. And again, such allegations that God hid a code for thousands of years is insulting to his integrity. To learn about creation, sin, repentance, redemption, living a life of godliness, being equipped — it's all there in the Bible. 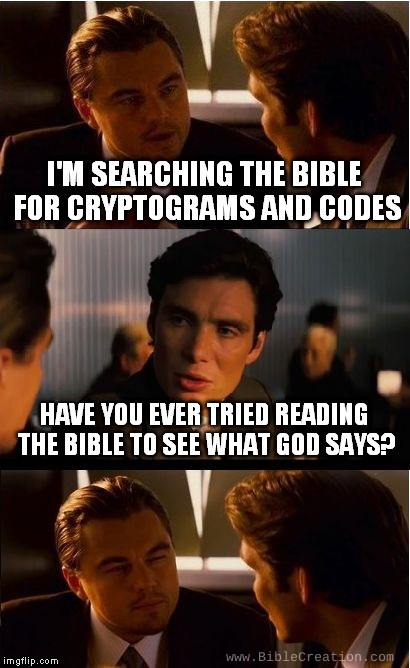 If someone offers you codes, "revelations" outside the Bible, mixes truth with false teachings, I recommend that you light a shuck out of there. Since way back yonder, people have been dreaming up various philosophies to follow. Sometimes they make their own, and other times, they dominate Western culture itself and get labeled. Premodernism began somewhere around 1650, but I doubt that people said, "Why yes, these are premodern times and I'm fully supportive of premodern philosophy". Modernism began to take hold, and lasted about 300 years. About 1950, the philosophy called postmodernism began to take hold, and it's mighty depressing. One of its key points is one certainty: nothing is certain. While postmodernism contributes to atheism, a consistent postmodernist has disdain for the faiths both atheism and Christianity. To deepen the waters, not only are Christians certain of the existence of God, creation, the deity of Jesus Christ, his death, burial, and bodily resurrection, his return, the Final Judgement, and more, but we have faith. Now, some atheopaths malign and misrepresent the word faith by redefining it beyond what the Bible tells us. They add an element of uncertainty, or even flat-out lie, saying that faith is 'believing in something even though you know it's not true". The Christian faith offers certainty as well as salvation. Here are two messages by Phil Johnson that get rather involved, but are well worth your time and can let you know the pervasive mindset that we're dealing with. They are free to listen online or download. The first one is an overview of postmodernism, "A Beginner's Guide to Postmodernism" (53 minutes). Second, and I really hope you'll listen to this one even if you pass on the other one, is the 72-minute, "A Certain Uncertainty". To borrow from Chris Rosebrough (who is linked below), I'm not asking people to read this or watch the video with open minds, but to have open Bibles. My opinion and yours are not worth a whole lot, nor are our traditions. Only God's Word matters (Isaiah 40:8, Mark 13:31). Way back yonder, I was a follower of "Word of Faith" heretic Kenneth Copeland and some of his gang, but I didn't go whole hog on his teachings. Still, I accepted too much at the time. One of several things he said that I rejected out of hand was his affirmation of the "gap theory", where there are supposedly millions of years between the first two chapters of Genesis. I disremember why he wanted to use this gap eisegesis, especially since there is nothing to support it in the rest of Scripture, and I don't think there's anything about it in church history, since an old Earth is a relatively new phenomenon in liberal Christian thinking. Mrs. Copeland preaches Word of Faith stuff too, and she has a frequent "teacher" on their show, Billye Brim. Brim was galloping along and jumping fences to promote the gap thing, and they also compound their eisegesis by promoting a pre-Adamite race of men! There is some material below that deals with these things. Consider this: If there was a gap between the first two verses of the Bible, what do you do with Exodus 20:11, 31:17? 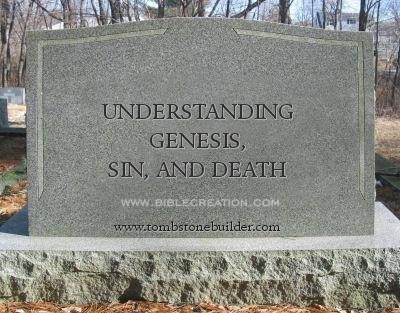 For that matter, God called creation very good (Genesis 1:31), which would be nonsensical if there were long ages with death and destruction before Adam was created. Pastor Rosebrough gave a segment of "Fighting for the Faith" to part of the Brym-Copeland presentation. I took the 25-minute section and made a video so you can here the part that is pertinent here. As much as I want to embed the video here for your convenience, I think doing that slows down sites. I'd be much obliged if you'd follow this link to the video. If you want to, click here for the full episode of "Fighting for the Faith", and for those who want to study it and see active Scripture twisting in action, here's the Copeland-Brym episode. I think they keep stringing it along over several shows, though. When I was watching Copeland on television (1990s, I think), I don't recall him mentioning the pre-Adamite race of men. In fact, the first time I heard of this was from arch-compromiser Hugh Ross, who defies both science and Scripture. (I wonder if Ross is glad to have support from other Bible mulchers.) Something Ross and Word of Faith people have in common (in addition to eisegesis and twisting the Bible) is rejection of the authority of God's Word. If you study on it, they have that in common with atheists as well. Here are a couple of links to get you started. You can also search the sites they take you to for more information. "From the beginning of the creation — does Genesis have a ‘gap’?" and "Does Hugh Ross Believe in Soulless Ancient Humans?" 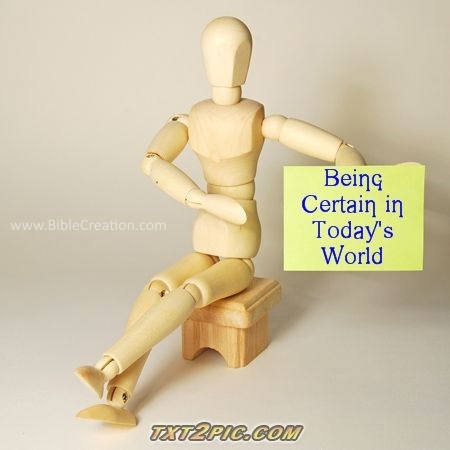 This material is presented to help people think logically and biblically. Just because someone states his or her belief with authority does not mean that it's correct. Sure, some false teachings are more easily dismantled than others, and that's why there are ministries equipped to help straighten things out.